In 1863, Pisgah’s pastor Reverend Simon Peter Richardson was elected Captain of the Centerville Old Guard and served as the head of the local Defense Guard during Civil War. Several Confederate soldiers are buried at the Pisgah cemetery including members of the Gramling family. During the 1850s Pisgah was one of the most prosperous and active Methodist churches in Florida. 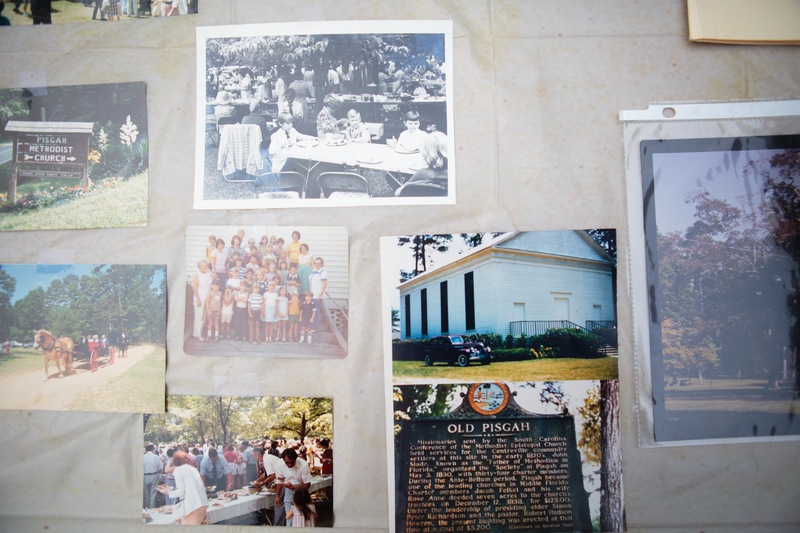 As was traditional during the 1800’s Pisgah began as a non-segregated church, white women were required to sit on one side of the church, and white men on the other. Slaves were seated in the galleries. The cemetery at Pisgah holds local victims of the 1841 yellow fever epidemic. The cemetery and grounds at Pisgah are local landmarks with many visitors annually. The Pisgah United Methodist Church (also known as Old Pisgah Church) is a historic church north of Tallahassee, Leon County, Florida, USA. It is located southeast of State Road 151 at the end of Pisgah Church Road. On May 3, 1974, it was added to the U.S. National Register of Historic Places. It is also on the National Register of Methodist Structures. A Greek Revival style building, Pisgah United Methodist Church is the oldest remaining Methodist church building in Leon County. The current structure was built in 1858, and is the third church to be located on the site. It has a broad front porch and three front doors. The east and west sides of the church have 4 elongated windows. In 1824, Tallahassee was the territorial capitol of Florida and the Methodists of the area were serviced by traveling Methodist circuit riders. 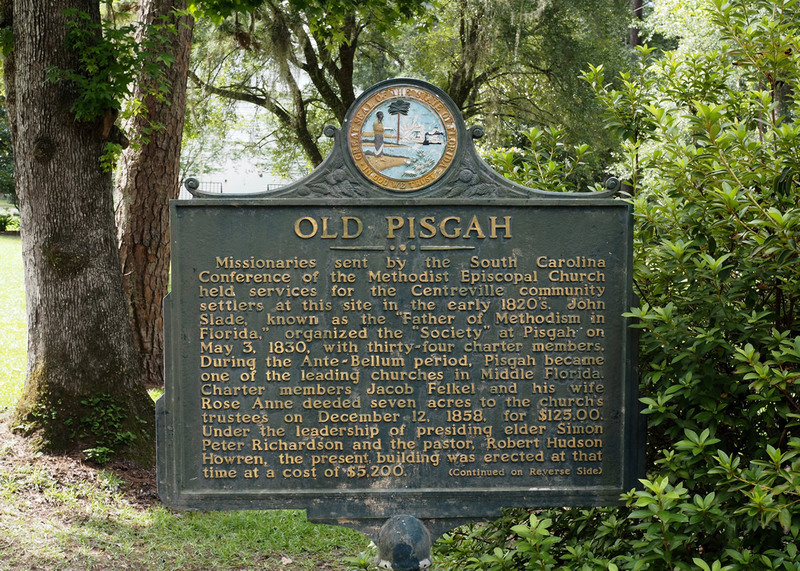 The church or “Society” with 34 members at Pisgah was organized on May 3, 1830 by John Slade, who is considered to be the father or Florida Methodism.